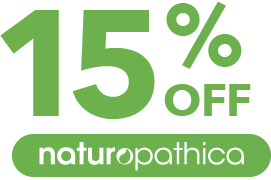 Naturopathica CurcuMax Turmeric Active 5,000mg, with Black Pepper, combines the traditional anti-inflammatory power of curcumin (from Turmeric) plus black pepper to help enhance curcumin’s absorption. 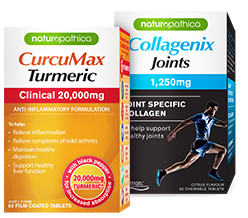 Containing 95% standardised active curcumin, CurcuMax Active provides you with 5 key health benefits including helping to relieve mild joint pain and supporting joint health*. Contains sulfites. Always read the label. Follow the directions for use. If symptoms persist talk to your healthcare professional. Curcuma longa (Turmeric) rhizome ext. dry conc. Std. Equiv. to rhizome dry 5g. Piper nigrum (black pepper) fruit ext. dry conc. Std. Equiv. to fruit dry 14.97mg. 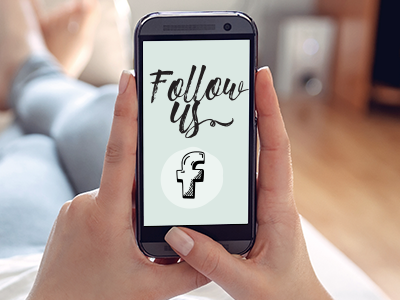 What is CurcuMax Turmeric Active 5,000mg for? 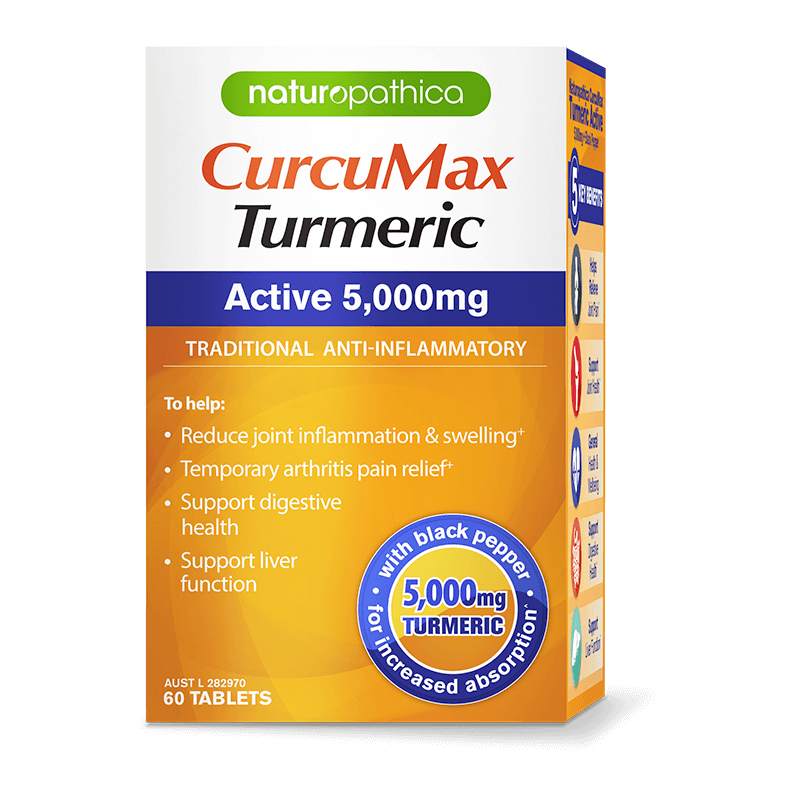 Who is CurcuMax Turmeric Active 5,000mg for? 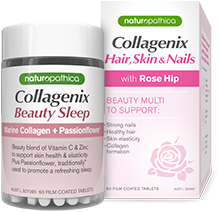 Individuals interested in assisting support of general health and wellbeing including joint, digestive and liver health*. 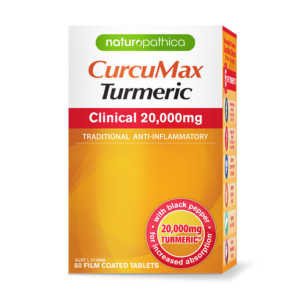 Why should I use CurcuMax Turmeric Active 5,000mg? 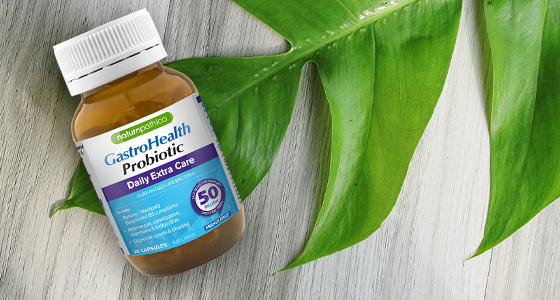 Take 1-3 tablets daily (with food or as directed by your healthcare professional). Always read the label. 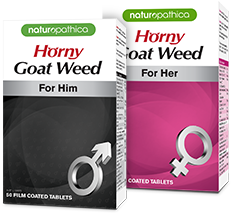 Follow the directions for use. If symptoms persist talk to your healthcare professional. This product has been blister sealed for your protection. Do not use if tamper seal or blistering is broken or damaged. Store below 25℃. 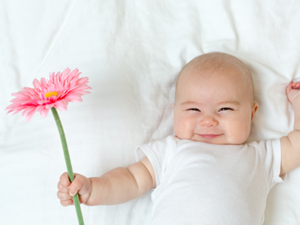 As a parent we know how important your babies health is. 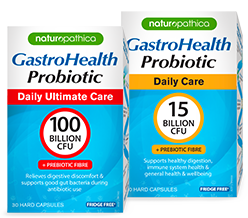 Do you know how essential your child’s gut health is to their development and wellbeing? 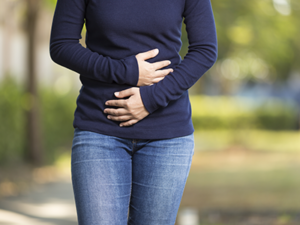 Want to find out more about IBS? We will answer your questions such as what is it, who is most commonly affected and can you cure it? 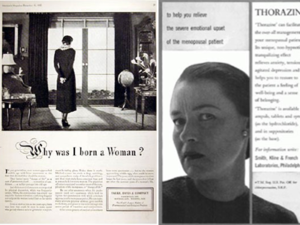 The hilarious summary of menopause advertising within the 1940's to the 1970's where women were accused of being schizophrenic instead of menopausal. 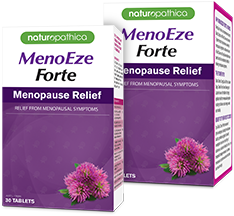 Traditionally used to relieve inflammation, relieve symptoms of mild arthritis, maintain healthy digestion and support healthy liver function. 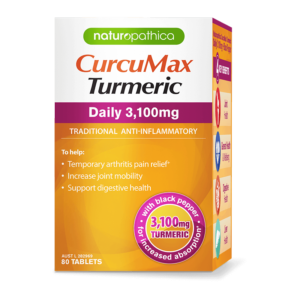 CurcuMax Turmeric Daily 3,100mg combines the anti-inflammatory power of curcumin plus black pepper to help enhance absorption into the bloodstream*. 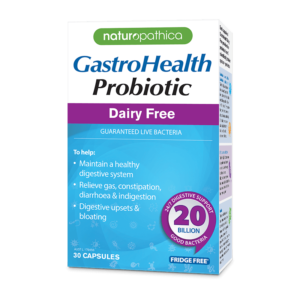 Gastrohealth Dairy Free offers all the benefits of a probiotic - gut health, general health and immunity - without any dairy allergens. 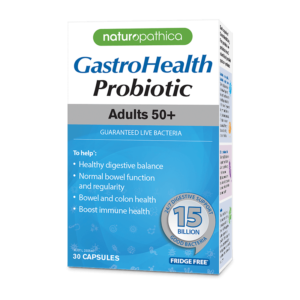 Contains 15 billion bacteria from 4 clinically researched probiotic species including the good bacteria Bifidobacterium, which is known to decline with age.